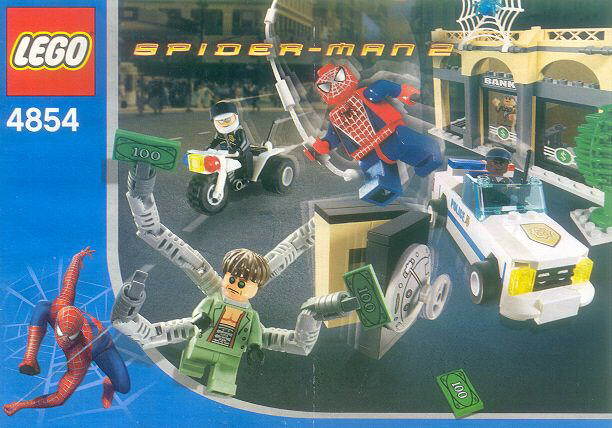 come with a bank, a big safe, a trike and a police car. 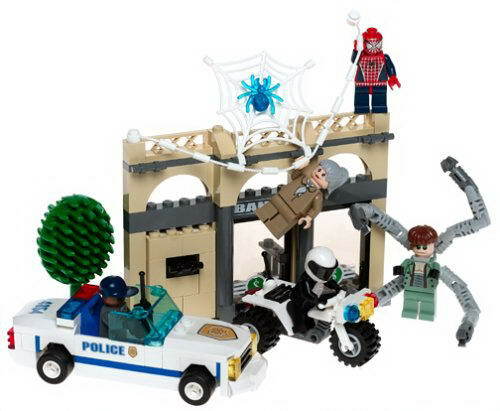 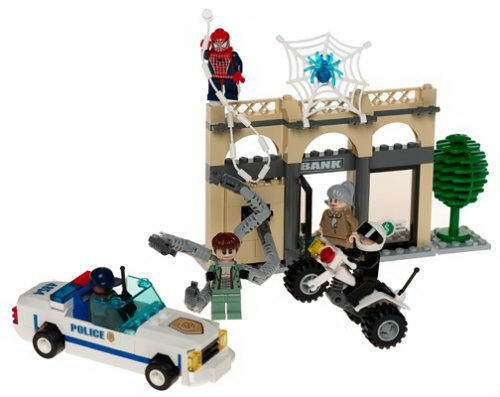 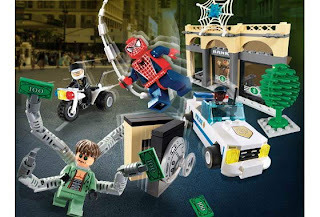 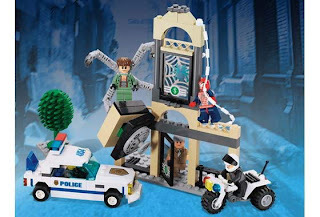 minifigs included a spiderman minifig, a doc ock minifig, an aunt may minifig and 2 policeman minifigs. 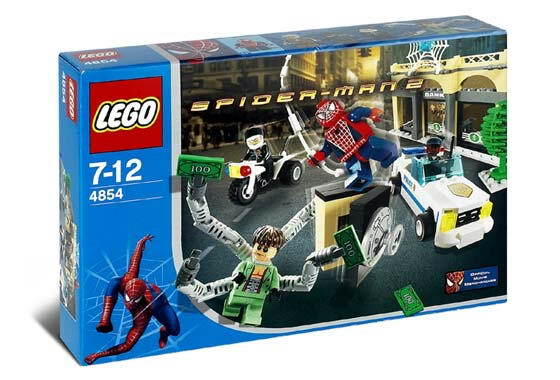 must have for spiderman lovers.